A Mantastic and Fantastic clear of Zaerog Infinity using my brand new Myr who I painfully skilled up over the weekend. If you wish to watch my various clears using Awoken DQXQ , Blue Sonia , and Dark Metatron , please check out my previous post HERE. For more about team building Myr, please read my full analysis HERE. The most amazing part of the heart-cross leaders is the ability to have your damage multiplier carry over on a sweep if there is no preemptive. This allows you to have a fantastic multiplier and easily clear trash floors along with speeding up your clears. I still need more practice forming heart crosses; however, I am liking her playstyle and look forward to clearing more content with Myr. Challenge 10 had a wide array of troublesome spawns that required you to have damage control, bind clearing, and high burst damage to succeed. I made a nearly lethal error on the second floor as I misread that he will bind all monsters for 4 turns on his first attack. Lesson learned: carefully read all the dungeon mechanics! 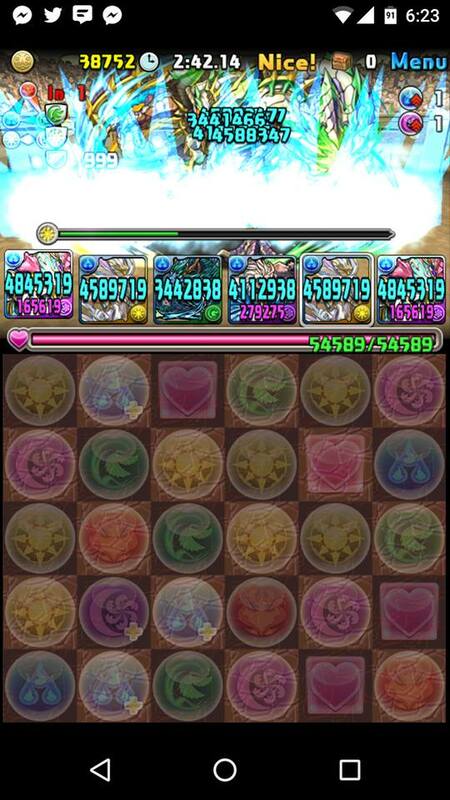 I used B/L Hermes as a base for inheriting Awoken Sakuya to remove the preemptive dark binds from Nordis. Normally having a card that is not bind immune inherit a bind clear is risky; however, Nordis will only bind dark monsters so I was safe. Aside from the miscalculation on the second floor, everything went according to plan and just goes to show the power of Blue Sonia when it comes to stalling. I have been tirelessly tinkering away with perfecting my streaming capabilities and also have the capability to record my gameplay as a means to showcase various dungeon clears. Mythical Plus Nordis Descended is a reasonably challenging Rogue descend .I decided to use my Zaerog Infinity team as it is quite fun and exciting to play and hopefully showcases a different playstyle that is seldom seen. Playing the various Rogue Descends is also how I have been able to farm nearly 200k Monster Points per account due to the annoying PreDRAs that appear. It is somewhat challenging to narrate and play at the same time so I hope to improve in my future videos. The team is primarily composed of orb changers with a modest emphasis on heart/dark generation. This is to help deal with the preemptive dark bind on the final floor due to the recover bind awakening. 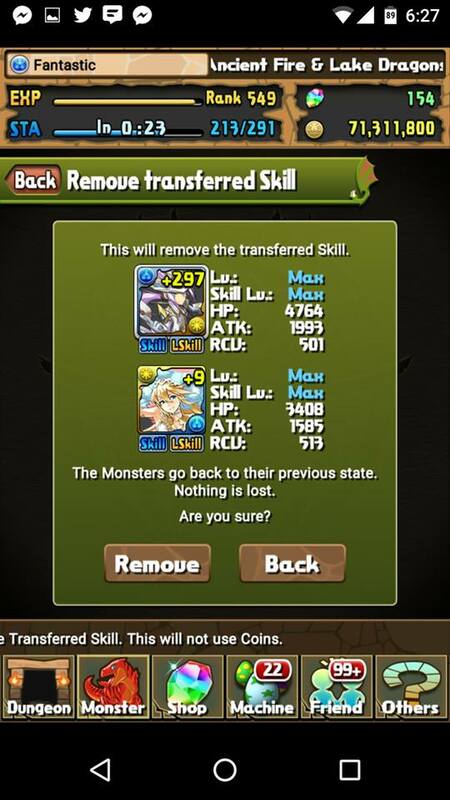 Blue Odin is used on many of my other teams and has Awoken Ra inherited to deal with the PreDRAs. Dark Izanami is mostly for insurance against Nordis in his final form. I have plenty of actives and the full +297 grants me a modest room for error and stalling. I hope to continue producing videos like these and any feedback is greatly appreciated on how to improve is greatly appreciated. I am in the process of updating this list over the next week or two and work from the top down so somethings will still be outdated/missing in the meantime. Due to the ever changing dynamic of team building through Skill Inheritance, team building has either become more flexible or more rigid. It becomes more flexible due to the fact that you can use almost any card as a sub and fill in the blanks via inheritance. However, this does eventually lead to a more rigid team building experience as you will end up using similar powerful bases and supplementing with appropriate assists. As such, I have been trying to determine how I can have this list reflect both aspects of team building. Listing subs that fulfill specific roles is helpful, but may become misleading once you begin to acquire more cards to play around with. Thus, I will try my best to list higher tier subs along with other options and include a massive inheritance chart at the beginning you can use to fill in the gaps. When deciding which leader and team you want to invest in, you ideally want to find a balance between a deep and diverse sub pool combined with a love for their playstyle that suits your personality and matching skills. Even leaders who are not popular in the meta are capable of clearing high end content provided you have a synergetic team and passion for their gameplay. Furthermore, you should try to balance the subs/actives you bring to ensure a healthy mixture of quick orb changers, damage enhancing, and defensive utility. When trying to determine if you require a bind clearing sub, you must take into account how dangerous the bind is and whether you can stall through it or avoid it. If you are able to avoid the bind by bursting through the boss before they are able to attack, it may be best to do so as bind clearing subs tend to bring little to the party aside from their active. Lastly, leaders with higher multipliers are more reliant on consistency and survivability over offensive actives as the sheer strength of their leader skill can sweep most floors. If you wish to read about how I approach tackling a dungeon and subsequently how I build my team, please read my previous article HERE. When trying to find a particular leader in this post, it is best to use the ctrl + F (search) feature. Otherwise, the leaders are colour sorted in no particular order. Due to the sheer size of this ever growing list, I may have trimmed out lesser leaders and simply put their names alongside other cards that are similar to them (eg. 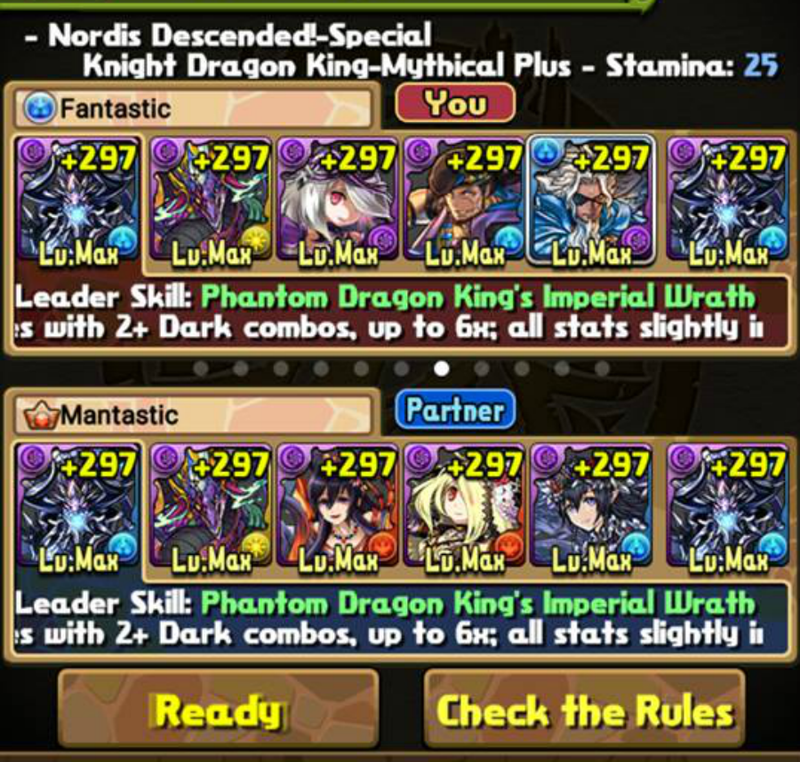 placing other rainbow leaders alongside Ra if similar). I am not including the button farming coop teams. If you feel I left out your favourite team, leave a reply in the comments below and I shall add in accordingly. For a list of 5×4 leads, feel free to check out my other guide HERE. If you wish to read a more detailed analysis of all the REM pantheon monsters, please refer to my Master List Breakdown. If you are considering to purchase a Monster Point card, please read my Tier List HERE. Skill Inheritance has become a vital part of the Puzzle and Dragons meta as it allows you to utilize desirable active skills from cards that would not be ideal to run as subs. This also enables you to better customize your team to your liking and address any dangerous mechanic the dungeon can throw at you. I encourage you to read my revamped Skill Inheritance Guide to better understand all the changes that have been made and how to better utilize this mechanic. Below is for the most part, a full overview of the various inheritance options you can use sorted by categories. For full board changers, you can utilize off-colour inherits provided they generate your desired element. However, if possible, you should try to use same attribute inherit and base to take advantage of the stat transfer feature.